The Alamo Guide for November 20th! 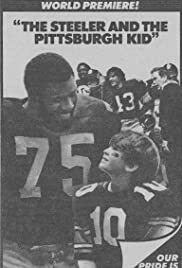 Mean Joe Greene and the Pittsburgh Steelers temporarily adopt a nine-year-old boy and they learn a valuable lesson from each other. Featured is a dream sequence where the kid plays quarterback for the Pittsburgh Steelers. This show is based on the popular award-winning 1979 Coca-Cola commercial where Greene trades his jersey in exchange for a coke from a kid. The commercial was so successful it was run all over the world and different versions were eventually filmed for different sports using the top athletes of the day. Henry Thomas, who played the boy, also played Elliott in Steven Spielberg's E.T. the following year. Shot on location in Dallas, Texas,and at Texas Stadium. A local semi-pro team was used to fill out the roster.